Juggling family, work and friends while having to carve out time to brave crowded supermarket aisles every week is challenging. If you’re looking for a way to cross this errand off your list, you might consider a grocery delivery service. These services offer a convenient way to shop for food online without ever having to leave home. NerdWallet has researched prices for a grocery basket of five common items at some of the top grocery delivery services. Although available brands vary from service to service, we chose similar products for realistic price comparisons. You can find just about anything on Amazon, and food is no exception. Its grocery delivery service, Amazon Fresh, is currently available in Northern California, Southern California and the Seattle area. After a free 30-day trial of the grocery delivery service together with Amazon Prime, the combined Amazon Prime Fresh package costs $299 per year and includes free delivery on all grocery orders over $35. Shop over 500,000 items from grocery stores, local shops and restaurants via the website or mobile apps. Order by 10 a.m. for delivery by 6 p.m. or by 10 p.m. for delivery by 6 a.m.
Wal-Mart is well-known for its huge selection of low-priced merchandise and food. Its To Go grocery delivery service is in the test phase in San Jose, San Francisco and Denver, and there are plans to expand. This service has no sign-up fee, and delivery is generally $10 or less. Customers may choose two-hour slots for same-day or next-day delivery and can pick up orders at the store for free. If an item goes on sale between the time of order and the delivery time, customers pay the lower price. Instacart connects customers with personal shoppers who pick up and deliver groceries from local stores including Whole Foods Market, Costco and Kroger, often within an hour. This service is offered in Washington, D.C., Los Angeles, San Francisco, Seattle, New York City, Philadelphia, Denver, Chicago, Atlanta, Austin and Boston. For $99 annually, an Instacart Express membership includes free delivery on orders over $35 and all two-hour deliveries. Customers also have the option to pay per delivery rather than purchase a membership. The cost then is $3.99 per two-hour delivery and $5.99 per one-hour delivery on orders over $35. For orders under $35, Instacart charges $7.99 for a two-hour delivery and $9.99 for a one-hour delivery. The popular Safeway supermarket chain now has its own grocery delivery service in many major U.S. cities and suburban neighborhoods. Simply enter your ZIP code on its site to find out if it delivers to your area. Deliveries are $9.95 for orders of $150 or more and $12.95 for orders under $150. Customers may choose one-hour delivery windows or receive delivery discounts by selecting two- or four-hour windows. Safeway also offers a shop-by-history option for even faster checkout. Each of these delivery services offers unique advantages. While Wal-Mart is the clear winner for overall grocery prices, Instacart earns points for a very cost-effective membership, speedy delivery and allowing shoppers to choose from several popular stores. Amazon Fresh’s pairing with Amazon Prime lets shoppers order a wide range of groceries, restaurant food and other merchandise without shipping or delivery charges, and Safeway gives customers the opportunity to shop their familiar neighborhood supermarket from home with discounted deliveries for time flexibility. The best option depends on your shopping habits and preferences. With each service only offered in limited locations, however, the choice may ultimately depend on which if any of these services deliver deals to your neighborhood. 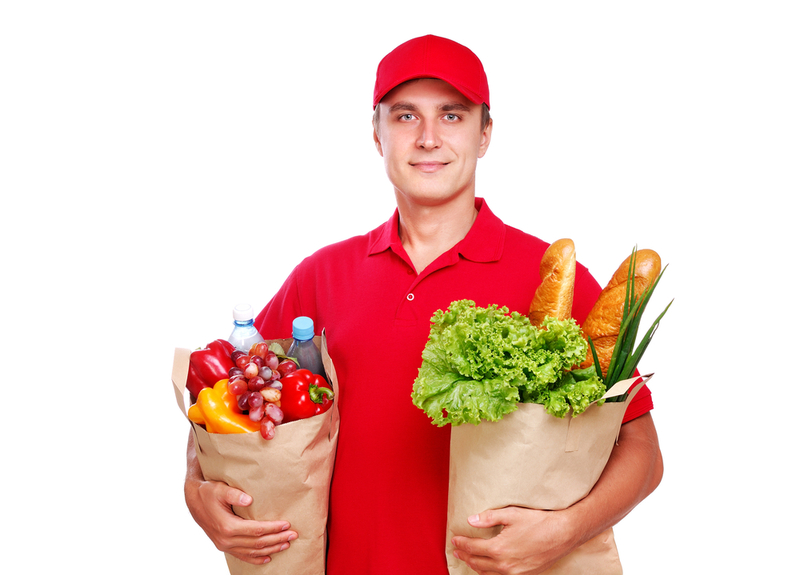 Grocery delivery photo via Shutterstock.